China Glaze Ruby Pumps, 3 coats. I wore this to a Christmas party a few weeks ago and it was perfect, of course! Color Club Magic Attraction, 3 coats. This is such an odd polish! I would probably describe it as a neutral glitter. But I would also say that there are lost of colors represented in the glitter too. It’s just odd, but in a really awesome way. 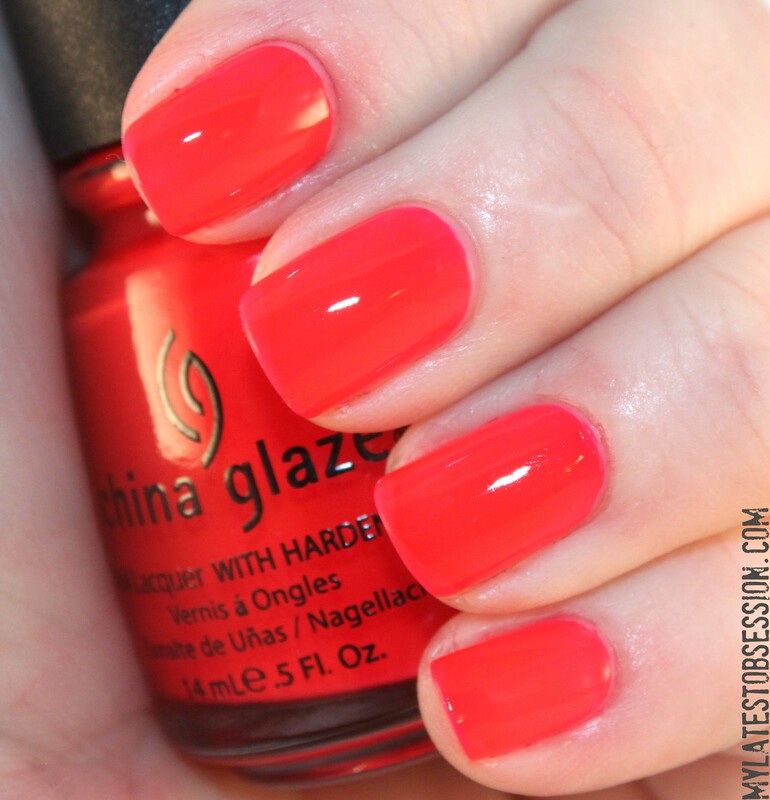 China Glaze Rose Among Thorns, 4 coats. This polish is so not worth 4 coats. It’s super bright and dances on the line between orange and pink. And red. It’s a weird polish. Thanks! RP *might* just be my very favorite polish. I agree with you Magic Attraction does look odd…but really nice! 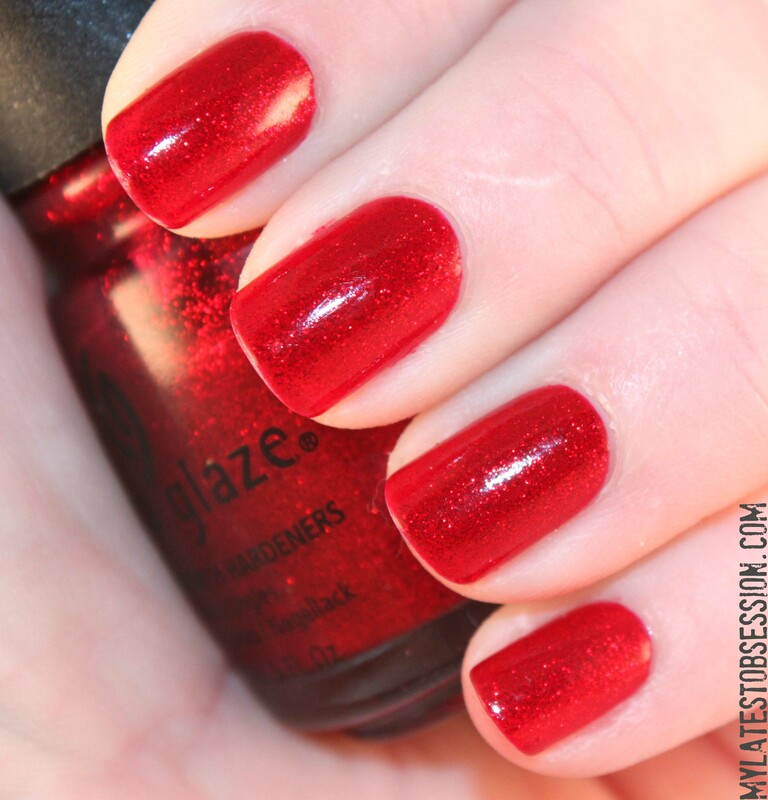 ruby pumps is such an eye catching polish, i get compliments on it too, and that seems to rarely happen!